There’s nothing like a Beeswax candle. 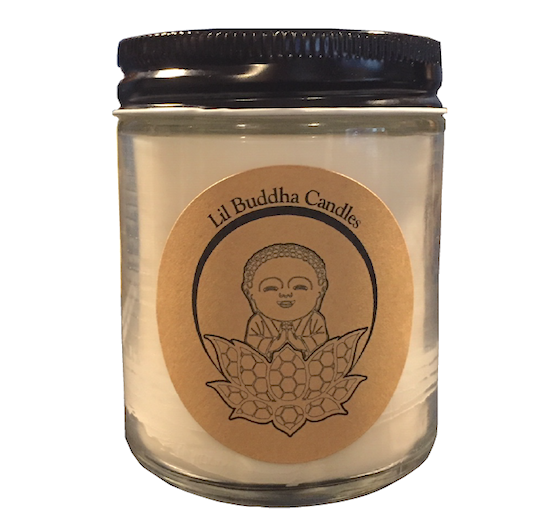 Li’l Buddha Candles are hand poured from organic beeswax and blended with organic coconut oil to create a more efficient burn. This special blend is the perfect accent to any home. Beeswax candles give off negative ions which neutralize bad “positive” ions such as allergens, dust and other air borne toxins. They are also safe, hypo-allergenic, non toxic and do not contain any of those harmful chemicals found in your regular store bought candles. 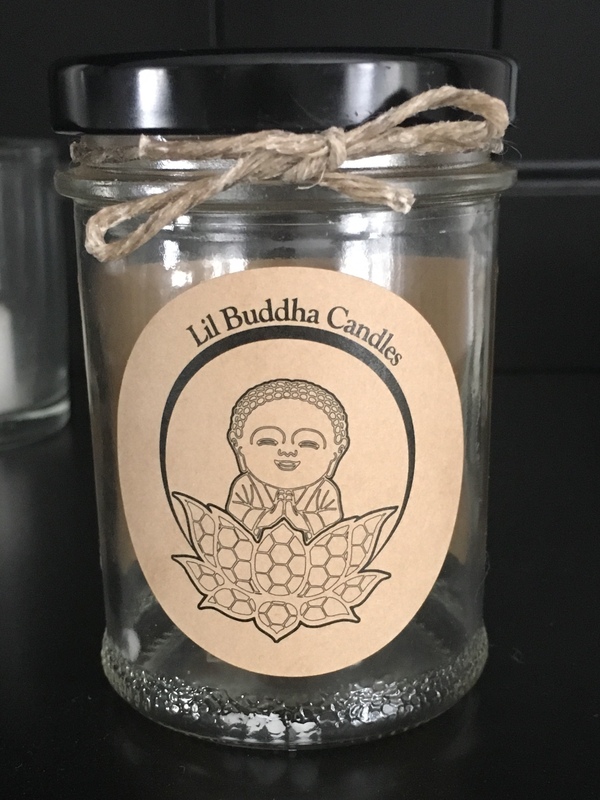 They also have a higher melting point than other candles meaning they can burn much longer. 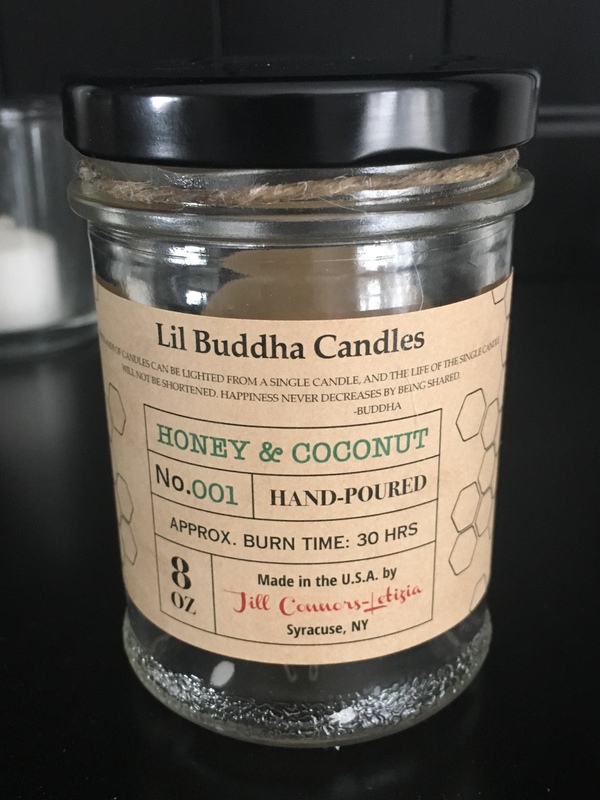 This Lil Buddha will easily burn 30 hours!!! To prevent memory rings, always allow your candle to burn 1 hour for every inch in diameter of the jar. As with all candles, the first burn is the most important. To extinguish your candle, dip the wick into the wax pool or carefully blow out the flame and then dip the wick into the wax pool. This will coat the wick with wax and allow for ease in lighting for the next session. 100% Beeswax with double hemp wick. 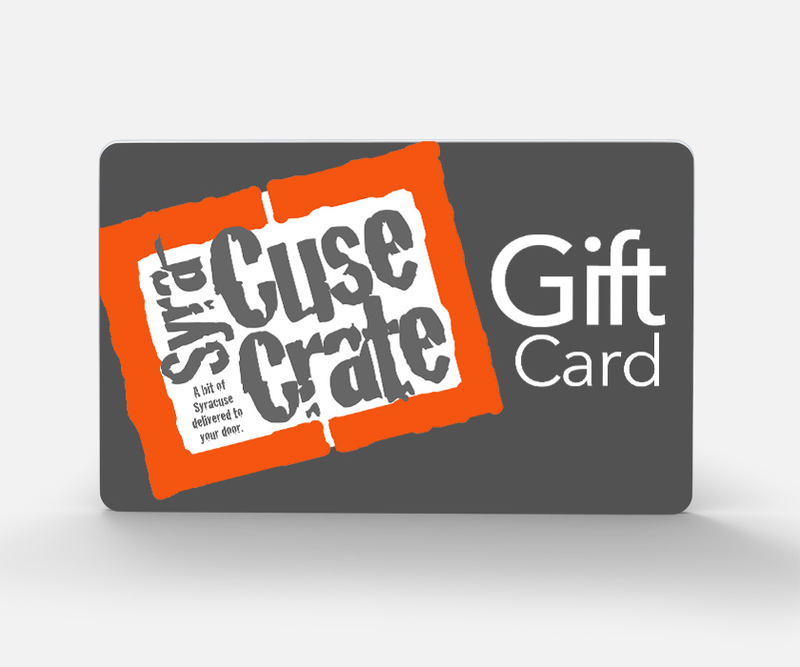 Hand poured in Camillus, NY!! !